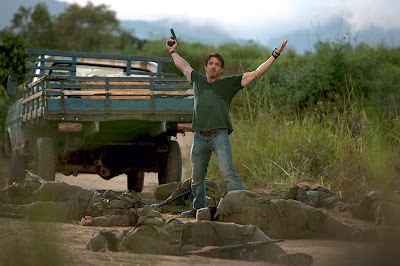 The finale of The Expendables, which I won't reveal here, is as foregone as the fact that I was going to like the film. As I warned some friends early on, director/star Sylvester Stallone would have to jump off the screen and spit in my face for me to give this one a bad review. And even then... well, that's my attempt at a full disclosure regarding what kind of review this is. Regardless of the major missteps he has taken with some frequency in his career, I can't help but admire the man. Maybe it's the narrative Stallone's perpetuated about how he came up in "the biz," a mythical story about an ugly-mugged outsider fighting the odds as a struggling actor until it's a film which he wrote that propels him into the limelight and two Oscar nominations. This myth tracks pretty close to that film, Rocky (1976), including his ultimate defeat in both categories (did you know... before him, only Chaplin and Welles had been nominated for acting and screenwriting in the same year?). Stallone's ambition, the never-quit, half-delusional chutzpah which spurs his decision to start directing two years after with Paradise Alley (1978), would ultimately pay off with 2008's more than solid Rambo, a grim, gory film that should have played like a comeback. Instead, it looks askance at the political and psychological motivations driving the iconic titular character. Rambo missed my top 10 list of films that year by only a few slots. The Expendables confounds expectations again externally if not internally. This movie is a predictable, bloody, throwback to the action films of the eighties (or one could argue the late sixties) in which a group of mercenaries, led by Stallone's Barney Ross, travel to a fictional Latin American island and find something to believe in while trying to topple the puppet dictator General Garza (David Zayas) with the help of his idealistic daughter Sandra (Giselle Itié). Faces recognizable to the film's testosterone-obsessed target audience round out the eponymous crew of mercs, Mickey Rourke (The Wrestler), Jason Statham (Crank), Jet Li (Fearless), Dolph Lundgren, Terry Crews, even former MMA champ Randy Couture. On the side of the villains, you have the ubiquitous Eric Roberts, former wrestler Steve Austin, and former kickboxing champ Gary Daniels. The ensemble stunt casting (not to mention two cameos in the same spirit) is the true premise of the film, the charming foundation on which Stallone hopes to attract an audience to what is essentially a reunion of action stars (who have never appeared together anyway) on the order of such historic ensembles as the ones in The Great Escape , The Magnificent Seven, etc. What strikes me about The Expendables is how the Stallone who's led this lifelong, obsessive, self-serious quest to protect his onscreen image, finally seems to be mellowing out (the even stiffer, smoother, botoxed face notwithstanding). This movie seems to be Stallone's concession that he can't singlehandedly break the box office bank anymore. It's also an admission that he needs to lighten up. It is not the dark and relevant political call to action that Rambo was. I mean, how many Latin dictatorships (especially ones with fictional names) are still at the forefront of America's overseas concerns right now? 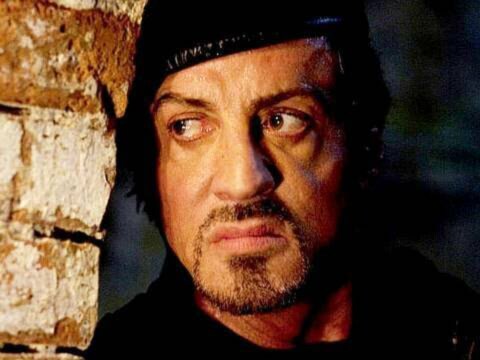 And what's the last time Stallone humbly shared the screen with other superstars? Copland (1997) doesn't count; in that case he was paying deference to a certain brand of New York character actor he undeservedly missed being thought as early in his career. 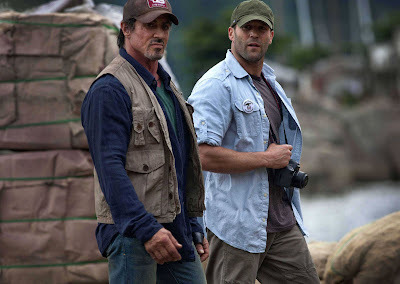 Stallone has never been nothing if not practical, and given the slow fade-out his career as an action star has experienced it's genius to hook up with current stars Statham and Li, both of which get equal above-the-title billing in The Expendables. What makes The Expendables so fun is that none of this seems anyway near as calculated as it might read on paper. Stallone approaches the film as if this is his last hurrah (think John Wayne's The Alamo). The action is balls-to-the-wall, bookended by two fantastic setpieces. 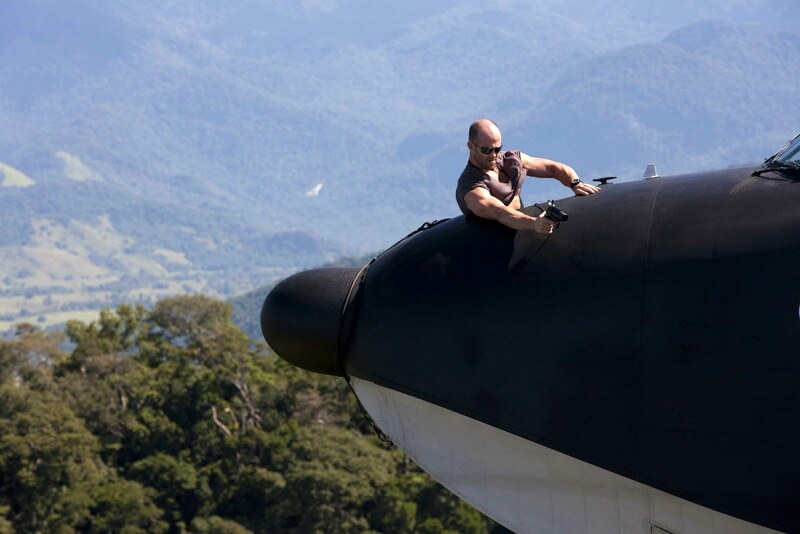 The first is a hell of a twist on a strafing run which involves Statham on the nose of a seaplane, a dock full of enemy soldiers,and generous helpings of gasoline. The final one is a siege on the General's palace which recalls the finale of The Dirty Dozen (1967). Stallone doesn't forget to give each actor their moment, though. The best example is a scene with Rourke, in which he describes the deadness he felt after years of getting paid to fight wars, an apathy which caused him to ignore someone in distress. When Rourke chokes up, one gets the sense this is a metaphor for both the actor delivering it and his director, both of whom failed to live up to their early potential by going for the money instead of honing their talent. The movie ends up being about what you expect, then. 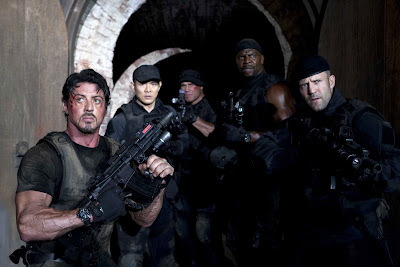 A fast-paced, uncomplicated action film with above average resonance supplied by Stallone and his incredible cast. 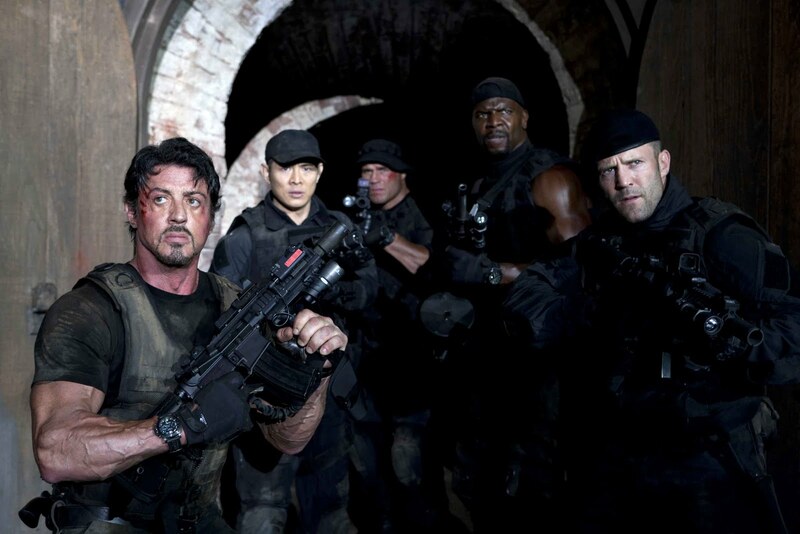 Given the unremarkable run of summer movies this year, I'd say The Expendables is about what we need right now. The Expendables arrives in theaters Friday, August 13th. I want to see this film so bad! I love those old action/comedies that just never stop with the action. And this looks nothing different. I've kept my eye on this since I saw the début trailer (then again, I though it was an April Fool's joke due to the trailer's release date). I've always known it was going to turn out as a mindless action film, especially given the cast. And with this in mind, I will go to see it, but not going into the cinema expecting a deep storyline, just a laugh with some mates. Awesome -- definitely sounds like a worthwhile watch. I love that this is only 103 minutes and not the bloated 2+ hours every action movie feels it needs to be now. I'll assume that at the end we get an obvious lead-in to a sequel, just like the good old days. Sounds good to me! I am anticipating this one as a chance to have some flashbacks to my childhood, growing up and watching some of these action stars from the 1980s! You're on the right track, here, althought the film is largely played straight. That's the best way to go into this film. You're so right. Why try to add some false complication to the film with unnecessary lengthening of its running time. This one is a lean, mean flick with simple production values, and it works quite well. BTW, no obvious lead-in to a sequel I could see, but it sure feels like a follow-up is in order. Though I didn't mention him, Dolph Lundgren in particular comes off better than I remember him. The Mohawk Memoirs: 3-D Movies! An Ocular Treat?